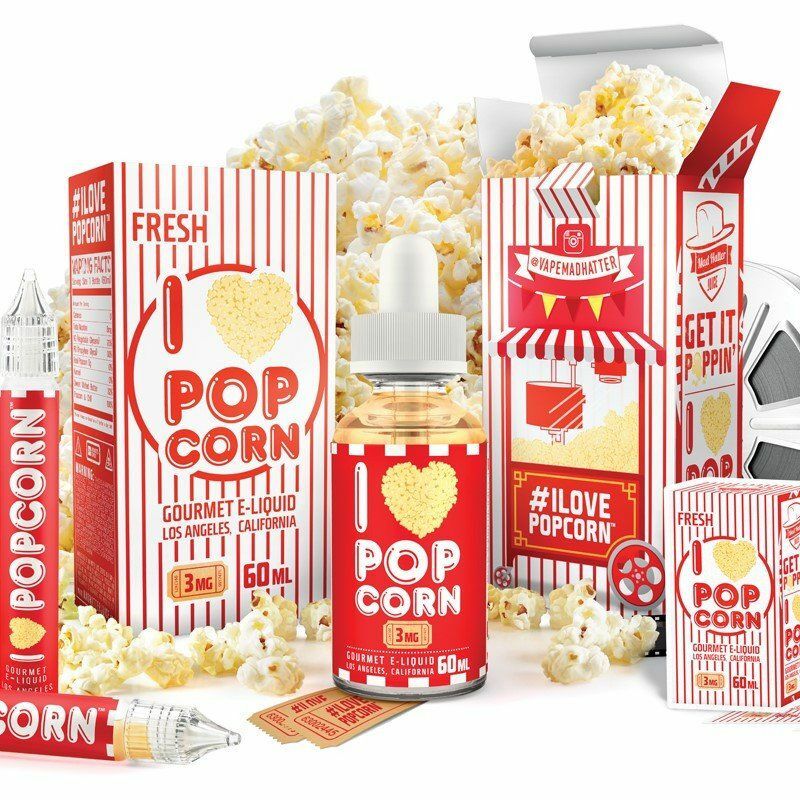 I Love Popcorn Mad Hatter E-Juice 60mL is a scrumptious vape that offers a delicious buttery popcorn flavoring without the guilty calories. This unique blend from Mad Hatter is made up from the taste of crisp, freshly popped popcorn that is covered in a sweet, melted buttery topping, leaving you with a classic movie theater treat that is sure to impress. Mad Hatter's gourmet e-liquid is manufactured in a California based, ISO 7, GMP compliant clean lab facility under scurpulous quality regulations to maintain a consistent product that offers the same premium quality of vapor and flavor with each and every bottle that ships out the door. I Love Popcorn from Mad Hatter features a 70/30 VG/PG ratio and it comes in a 60mL child resistant bottle complete with custom sticker and unicorn bottle for easy travel.